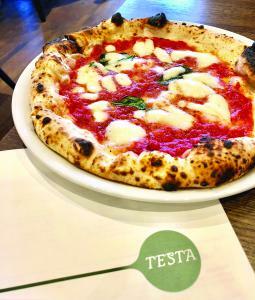 Pizzeria Testa, recognized as one of the top pizzerias in DFW has opened a second location at 3525 Greenville Avenue, across from the Granada Theater. DALLAS , TEXAS, UNITED STATES, July 11, 2018 /EINPresswire.com/ -- Pizzeria Testa, recognized as one of the top pizzerias in the DFW area has opened a second Dallas area location at 3525 Greenville Avenue, across from the famed Granada Theater. Testa’s new restaurant location is now open to share a true Italian experience like no other. As soon as you walk into Testa’s main dining and bar area, you’ll immediately notice their twin handmade Italian 7,000 lb. wood-fire ovens, which are the centerpiece of their food preparation and atmosphere. “Testa,” as it’s known in the community, features an intimate all brick wine cellar for private events and a glass enclosed terrace that opens up to a welcoming patio. From there, you’ll step down to a relaxing lounge area and an open picnic area for those perfect weather days. Testa truly has an inviting Italian ambiance that feels more like a home and captures the essence of its Italian origins. With 350 seats for dining, 220 inside and 130 outside, there’s plenty of space to gather and enjoy great food with friends and family. “The support we have received over the past 6 years at our first location in Frisco has been overwhelming. We’re incredibly excited and grateful to have this opportunity to open a second location and to share our heart with this community.” says owner, Rod Schaefer. With an expanded menu, genuine Italian recipes and an extraordinary boutique Italian wine list, it is the details that separate Testa from the rest. All of Testa’s Italian recipes, including their award-winning certified Neapolitan Pizzas, include only the finest carefully selected ingredients, prepared and served fresh in their open Italian kitchen. Pizzeria Testa is an Associazione Pizzaioli Napoletani Certified Pizzeria with Certified Master Pizziolas who prepare and serve each recipe in a time-honored tradition. All of Testa’s pizzas can be made gluten free with Italian gluten free flour. Testa has many other gluten-friendly options on the menu as well, so individuals with gluten sensitivities can come and enjoy. 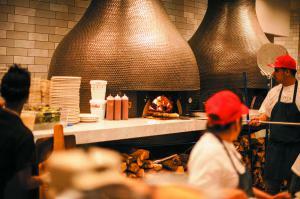 Pizzeria Testa was started in 2012 as a tribute to owner Rod Schaefer’s family. His mother was born a Testa, and his beloved grandparents served at the helm of this large, traditional Italian family that often gathered around the kitchen table for delicious home-cooked meals and hearty conversation with friends and family.